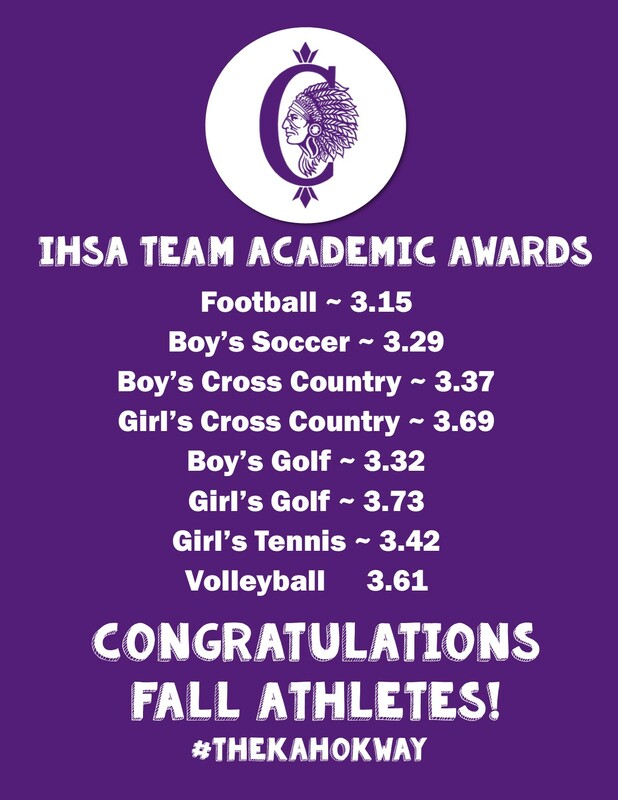 On January 23, 2019, Collinsville High School Athletic Director Clayton Smith announced ALL Collinsville High School varsity fall teams will receive IHSA Team Academic Awards based on their team grade point averages for the fall 2018 season. “This award recognizes those teams that maintain a grade point average of 3.0 or higher throughout their respective season. This is a fantastic accomplishment and I couldn’t be more proud of our teachers, coaches and kids!” said Smith.